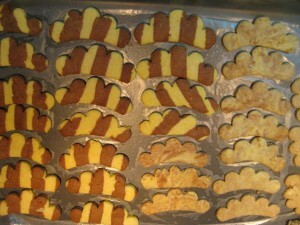 Here is the second type of Christmas cookies that we baked along with the jam-filled hearts. This particular recipe comes from a Czech collection of Christmas cookie recipes. My family did not make anything like this, but this recipe looked interesting so we decided to give it a shot. We ended up using 1/2 of the ingredients listed below. 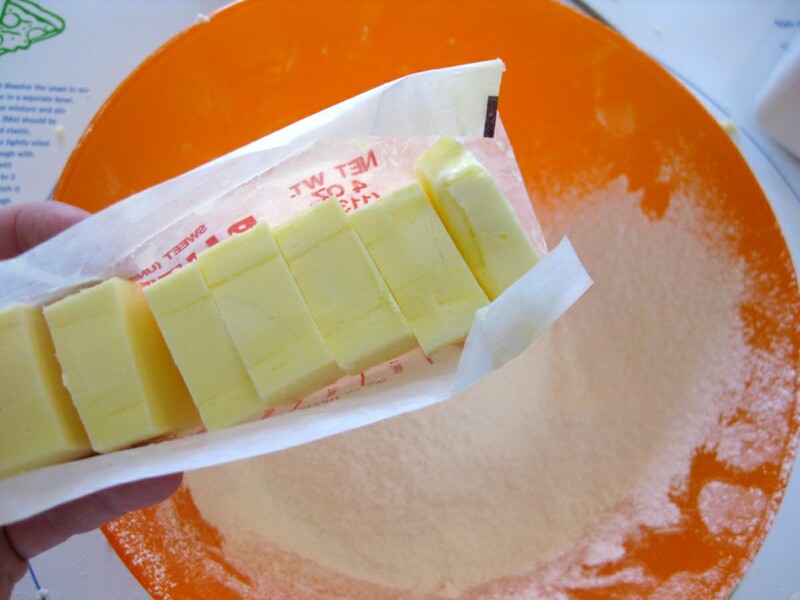 Start by sifting the flour and add the butter. Then add the powdered sugar and the lemon zest. 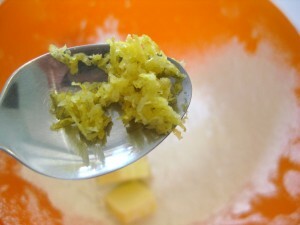 This came from quarter of a lemon, grated using a box grater. 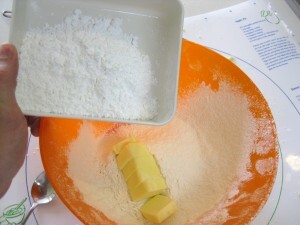 Then add the yolks and half bag of Dr. Oetker (or similar) vanilla sugar. You can find these in German or Russian gourmet stores. Or just use a dash of vanilla extract. 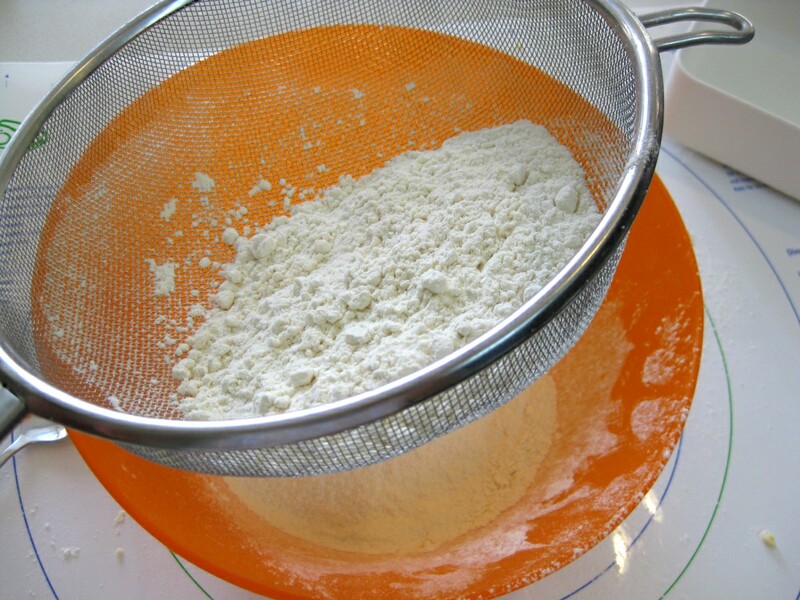 Knead everything together until you get smooth dough. Then form it into a loaf and cut off one fifth. Mix one spoonful of cocoa into this smaller section to turn it brown. Roll into balls, and let refrigerate for 30 minutes to solidify the butter. Then carefully roll the dough out on a mat dusted with flour. Roll out the yellow dough only slightly, you will roll it out again later. 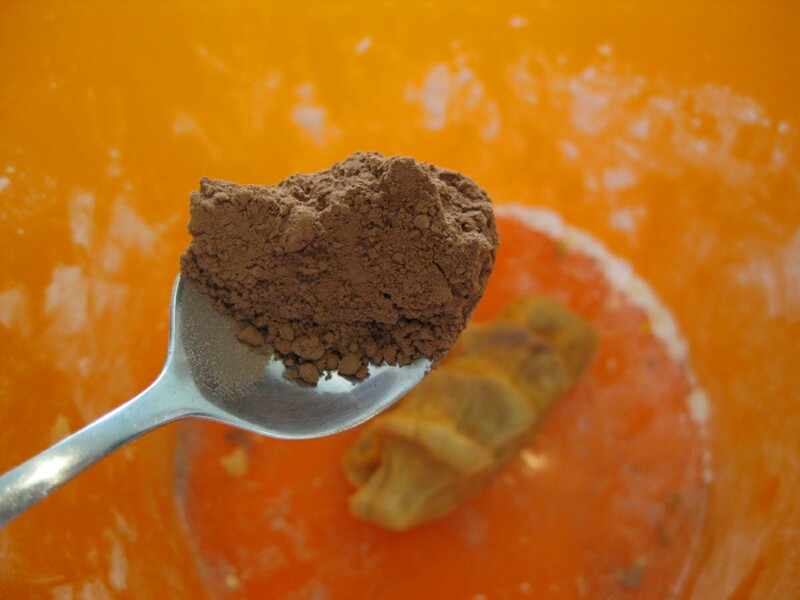 Make the brown dough about 2 mm thick. Here is where the fun begins. 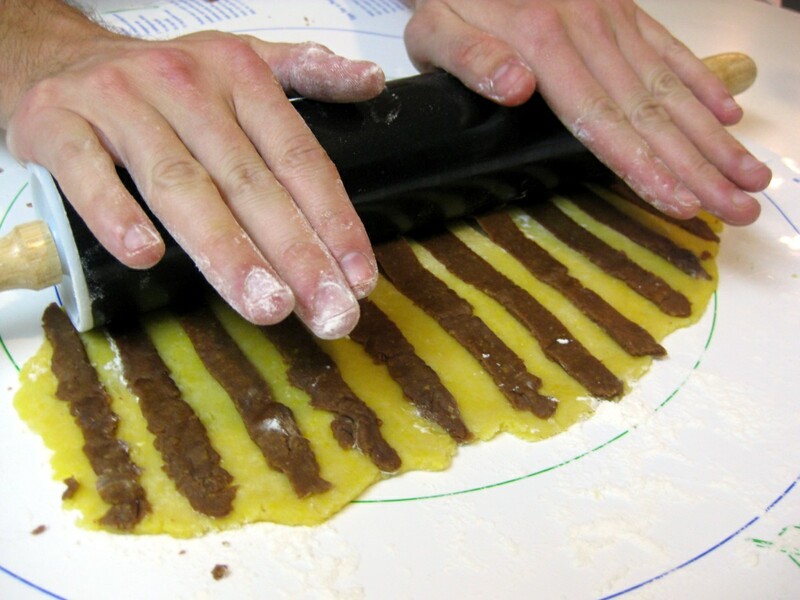 Cut stripes out of the brown dough and assemble them on top of the yellow dough. Try to leave about the same spacing between the stripes as the brown stripes are thick. 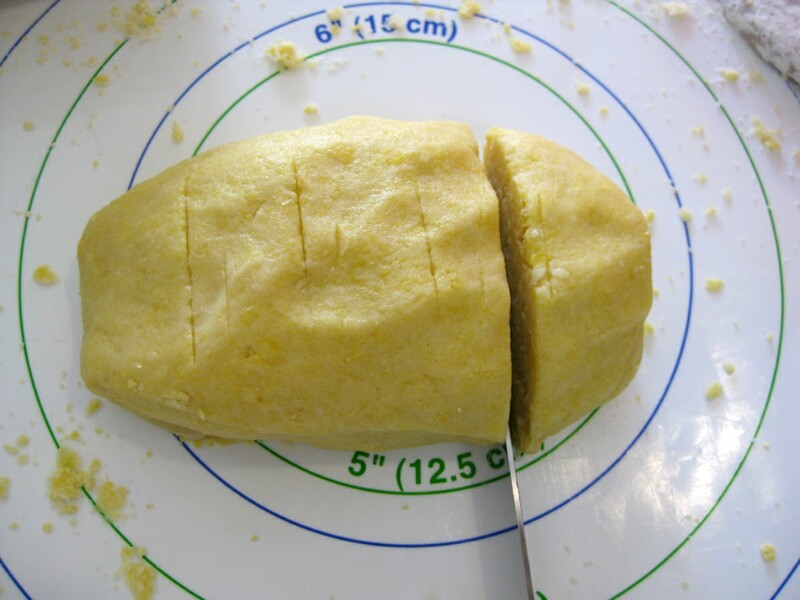 Push these down, and then use the rolling pin to fuse them into the yellow dough. This part is bit tricky. The stripes kept getting stuck to the pin. Mom helped out by pulling off the pieces that stuck. Try to get someone to help out, it really helps having that second person around for this step. 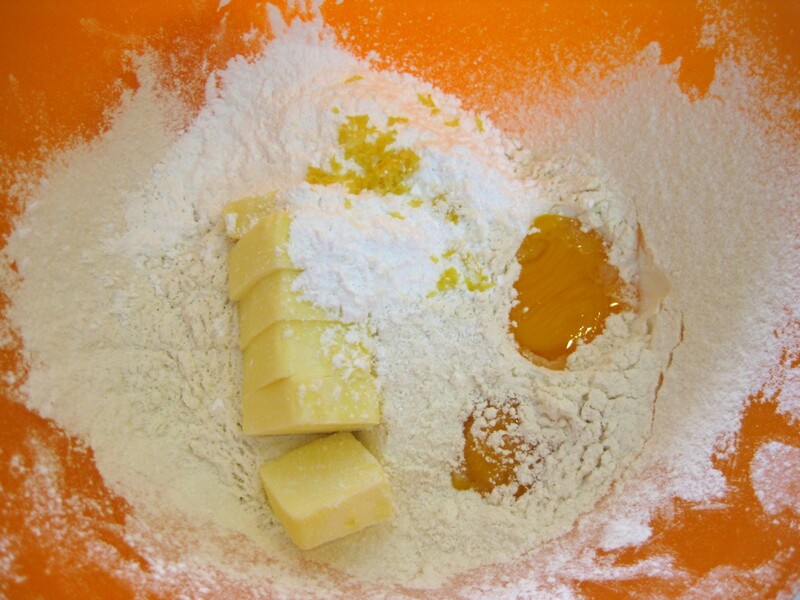 Mix the remaining dough into a ball and roll out again. 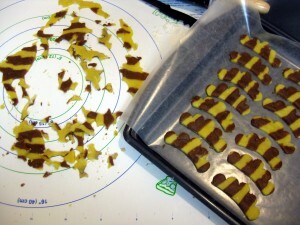 These guys will turn into marble cookies, since the two colors will mix together. 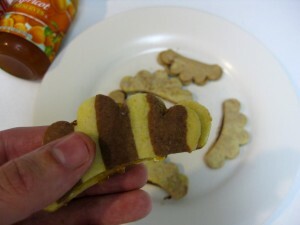 Again, cut them out using the cookie cutter. If you don’t have this comb (as in rooster) shape, use whatever you can find handy. 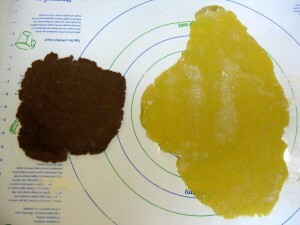 Bake the cookies on a baking paper for some 15 minutes at 350F. After they cool off, fill the zebra cookies with apricot jam. 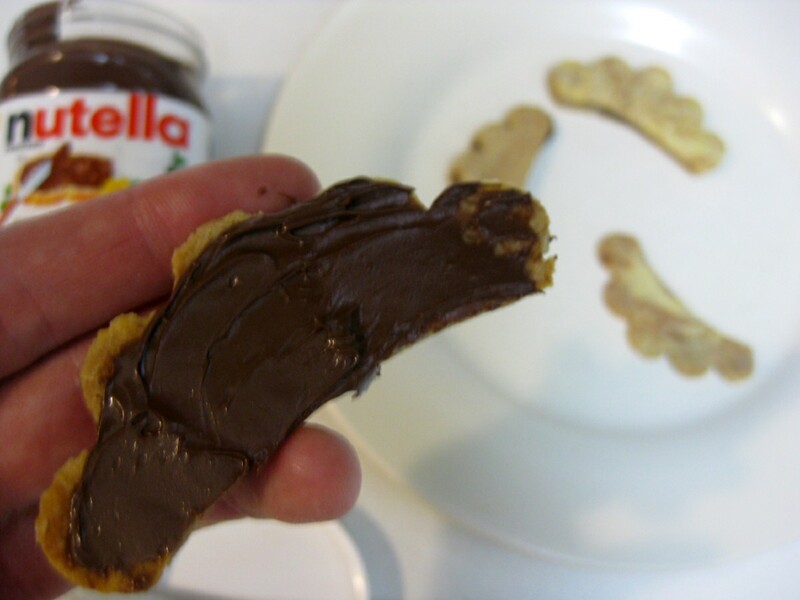 The marble cookies go well with Nutella. 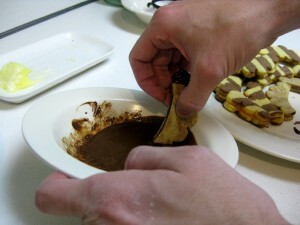 You can also dip their ends in chocolate. To make the chocolate spread, melt one cube of baking chocolate with 1/3 the chocolate amount in butter in the microwave. Don’t forget to check out Parts 1 and 3, jam-filled hearts and sugar rings. 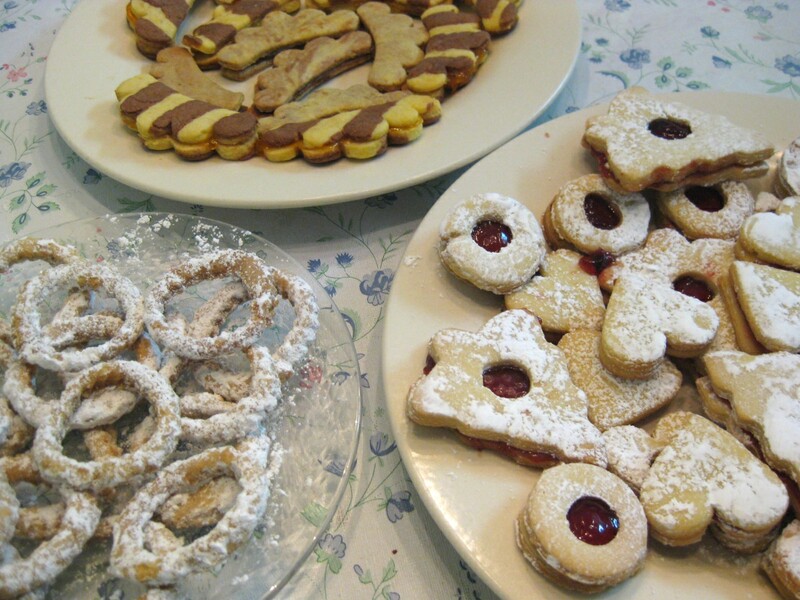 I would like a recipe for these that my mother made at Christmas – not sure about spelling – but I think they were “chrizcicki” – rolled dough that were cut into strips and twisted, then deep fried and covered with powdered sugar. Hi Anna, chrizcicki sounds Polish to me. 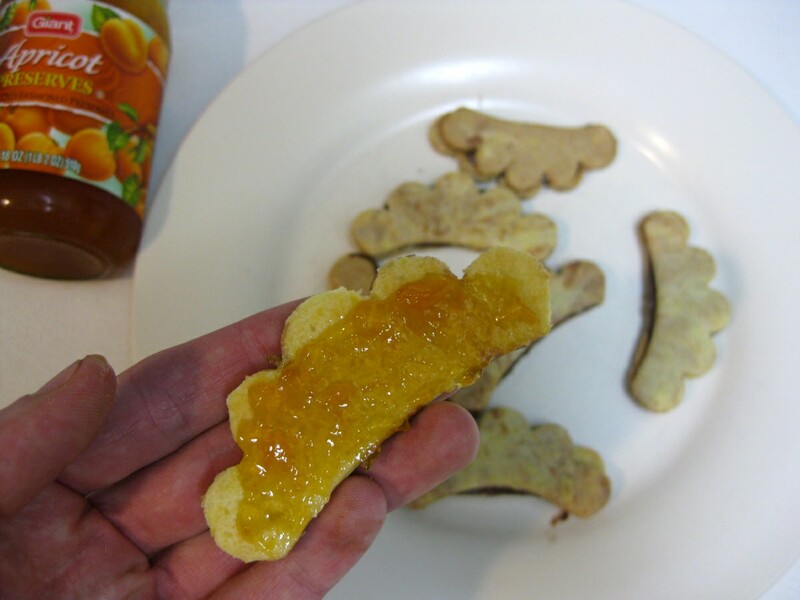 I can completely visualize what they looked like, and I believe I have even eaten them before, but can’t remember the Slovak name for this snack. Do either of those look like what you remember? I’ll let you know if I come up with anything else. 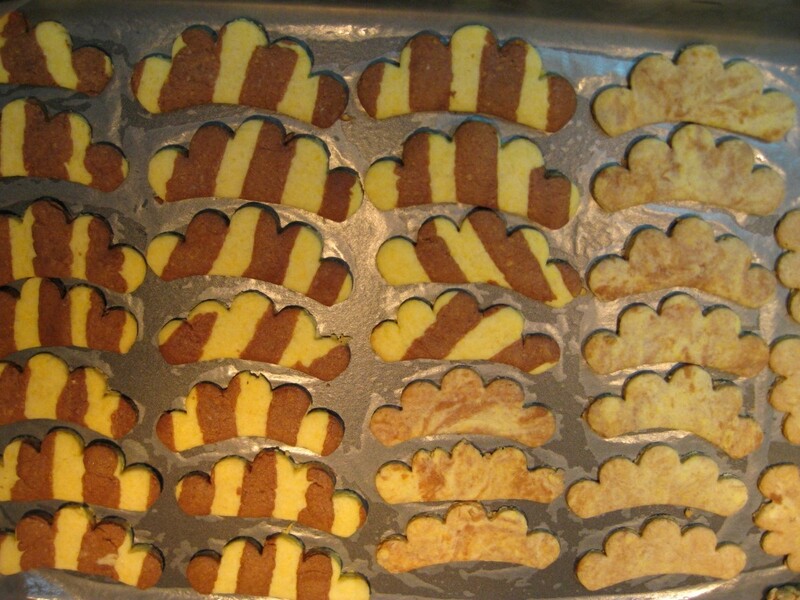 fanky a sisky both were made for fasiangy which is time before lent, when people made goodies before fasting in lent. From Anna’s description it sounds like fanky to me. Lucia, I agree. But isn’t there also some desert that is first twisted up and then fried? Basically the same dough as fanky, but different shape? 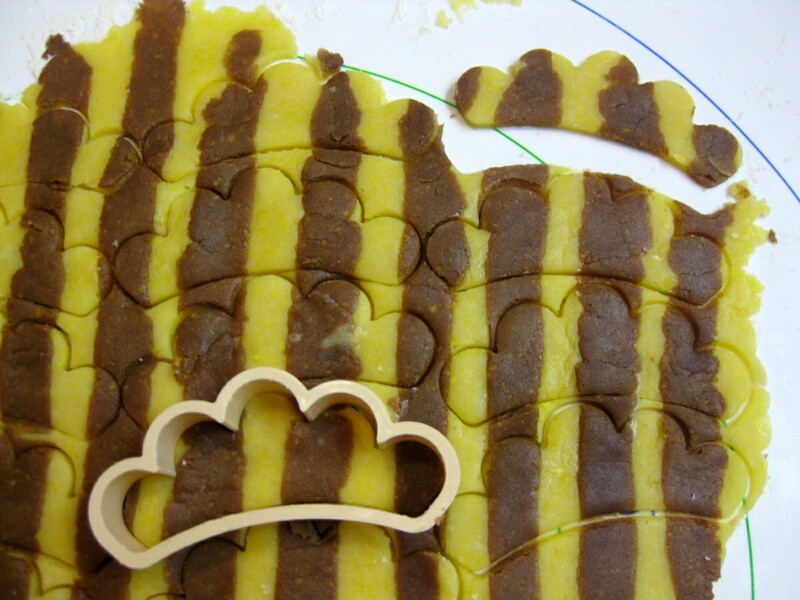 I make fanky like my mom used to make, cut the rectangle shape then two slits inside and then twist it, fry it and cover with powder sugar and vanilla mixture. To me, it sounds exactly like fanky that I know. 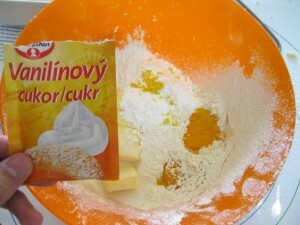 my slovak grandmother zuza dubovsky babinka made a twisted dough fried with powdered sugar. regret am illiterate in slovak – we called them (phonetically) spreets kahs. in mexico they have a similar treat. 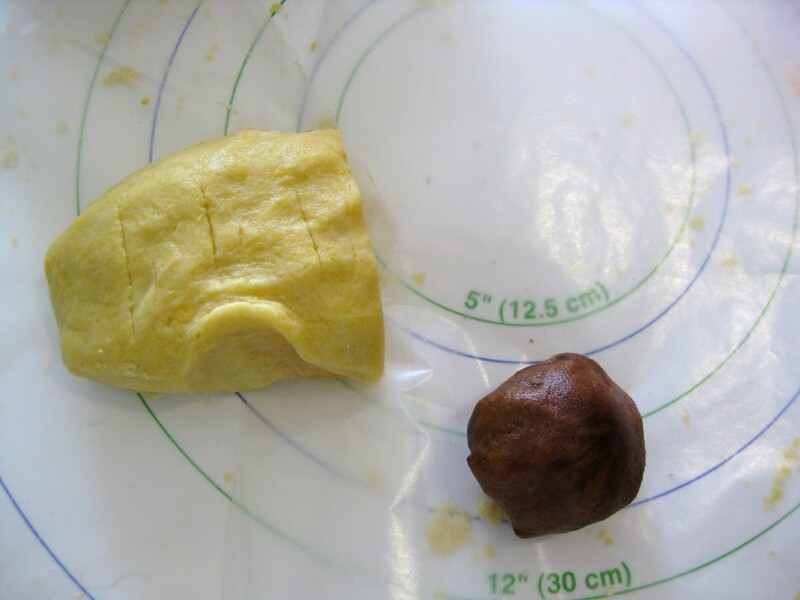 at christmas she made an unforgetable half moon shaped cookie filled with ground pecans (in ms) the neighbors came every year to watch and learn – they didn’t speak slovak and she spoke a little english. theirs were never the same.